We Providing One of the Largest Inflatable Inventories in the Midwest... Specializing in High-Tech Simulators & Arcade Games... Also Offering over 80 Inflatables, Led Casino Tables, Sports Activities, Green Screen, Photo Booths & Entrtainers. 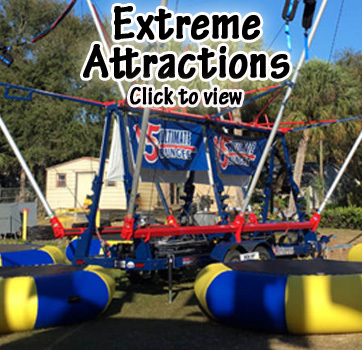 We now have the Extreme Attractions covered also like mobile zip line, Bungee Trampoline, Mobile Rock Wall, 16 player Foosball Table, Trackless trains and now Water Inflatables. We have so many new items for 2018 to list. Check them out above "Click Above". We are offering all new customers in 2018 Free items for their events. 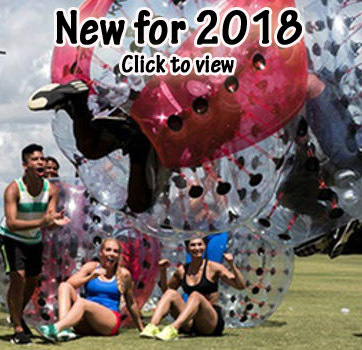 From Mechanical Bulls, Inflatable Obstacle Courses, Inflataable Jousts, Bungee Runs, Velcro Walls, Bounce Houses, Trackless Train, mobile zip line, bungee trampoline and mobile rock wall, Euro Bungee and Sports Inflatables. Donkey Kong and Donkey Kong Jr.